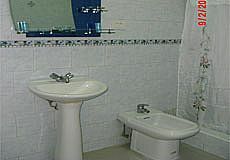 Beautiful apartment with 2 air conditioned bedrooms, spacious and very comfortable beds, each room has its own bathroom with hot and cold water, electricity 110 and 220volt, with good lighting, living room with TV and DVD, kitchen and dining room with everything necessary if you want to cook, refrigerator, microwave, blender, gas stove 24 hours. Cleaning service and linen change is made according to the demand of the host, preferably every other day. Breakfast, lunch and dinner are not included in the price of rent, but are inexpensive. We are located near the Avenues: Presidents', Linea and Malecón, and close to the Hotels: Presidente, National of Cuba, Habana Libre, Cohiba and Riviera. Nightclubs and bars like "La Torre" (the Tower), "Conejito" (Bunny), "Salón Rojo" (Red Lounge) of Capri Hotel, "Jazz Café", "Habana Café" and others. I have 10 years of experience in the business of leasing, I live very close to the apartment with my daughter who is a doctor. 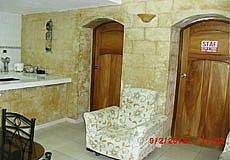 The rental price depending on the season of the year, the demand for rent and the type of room and it is from 30 CUC to 30 CUC. 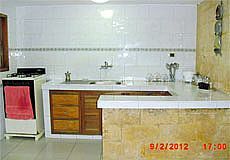 Book with us and you will get the best price available on the market for Maria Apartment. Usually, payment must be in CUC upon arrival at the rantal place.